Pay attention to Rian Johnson, because he’s trying to tell his audience how to watch his deliriously effective science-fiction thriller Looper. He does it when Joe (Joseph Gordon-Levitt)—a hired killer in the year 2044 whose job it is to slay people sent from 30 years in the future, where time travel is possible—talks to his crimelord boss, Abe (Jeff Daniels). He does it when Joe meets his future self (Bruce Willis). The conversations begin to drift towards the mechanics and contradictions of time-travel, only to have that topic shut down. “It doesn’t matter,” protests Willis’s Joe 2074—and if you’re not willing to understand that basic truth, you’re in the wrong place. Viewers are often too anxious to pull out the Plot Scalpel when dealing with films about time travel, ready to peel away every layer in search of the thing that doesn’t click. But the most compelling time-travel films aren’t about the mechanics; they’re stories like Terry Gilliam’s 12 Monkeys and Shane Carruth’s Primer that use time travel as a tool to reveal something even more compelling about the way people approach the concept of changing their fate. That’s the territory Johnson is exploring in Looper—and he comes tantalizingly close to a nearly perfect case study in how to do it. That’s not to say he doesn’t have some fun with the weird possibilities of causality. The entire concept that gives the film its name finds the assassins understanding that one of the hooded figures they’ll blow away will eventually be their own future self (“closing the loop”). When one of Joe’s colleagues (Paul Dano) lets his own future self get away, Abe and his boys wind up taking care of the problem through a rather ingenious—and gruesome—means of altering that future self. And when Joe 2074 is yanked into the past to be offed by his own younger self, he too manages to escape—and comes up with his own plan to change the world he comes from. The tug of war between the personalities of the two Joes is at the center of Looper—and if there’s anywhere that Johnson seems to fall short, it’s giving us enough of a context for the person Joe becomes and the relationship that he believes saves his life. Johnson snaps through a montage of 30 years in Joe’s life with an impressive efficiency that conveys the key moments in his transformation, and in a way Joe’s blurry perception of his life story might be part of why he’s willing to take such terrible steps to preserve what he cares about. It’s still hard to feel as connected to Joe 2074’s goals as it is to those of Joe 2044. And a lot more time is spent with Gordon-Levitt, an actor of ever-growing talents whose performance is not all about the prosthetics and facial twitches that allow him to more closely resemble a younger Bruce Willis. While on the run from Abe and his squad of killers for his failed “looping,” Joe 2044 hides out with on a remote Kansas farm with a woman named Sara (Emily Blunt) and her young son, Cid (Pierce Gagnon). Their relationship becomes a crucial element in the evolution of Joe 2044’s nihilistic focus on self-preservation, as well as a key plot point revolving around Cid. Saying more risks spoiling some of Looper’s jaw-dropping surprises, but it’s fair to say that Gagnon’s performance instantly ranks among the most astonishing examples ever of a child utterly commanding the screen. Unlike many films set in the future, the details of the era play only a cursory background role; we see a highly addictive drug taken in the form of eye drops, and a cityscape where streets are dotted with encampments of the homeless. 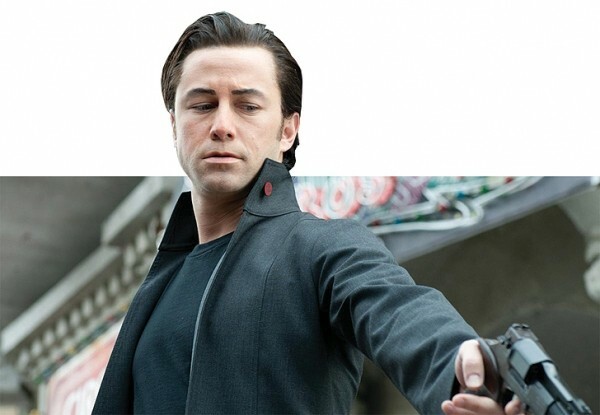 But Looper is only social commentary to the extent that it’s about when and if we ever decide to shift our focus away from ourselves toward something we’re willing to make sacrifices for—and Johnson manages to tell that story while still making use of sharply constructed action sequences and even-more-sharply constructed dialogue. So, spend time if you must on whether any particular convoluted plot point stands up to intense scrutiny. That’s how you’ll miss the way fantastical conceits can reveal remarkable ideas about changing the world by changing ourselves.